One of the most expensive options to watch a place or someone is surveillance. Surveillance is expensive as it takes a lot of man hours. So unless you have lots of free time, or lots of money, you may need to find alternatives. Or you can get a little less expensive option, but you have to get creative on how you place this slightly Lower-Tech Device. I am not pushing a particular camera at a particular store. 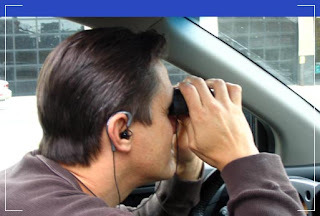 I am just telling you a low-budget way to conduct surveillance. First get a “Scout” camera that utilizes infrared flash. A scout camera is the kind used to take photos of wild-life in their natural habitat. Some of these are not small cameras, as they are designed to go several days at a time. Make sure you get one that takes SD memory cards for capacity. There are some that take two SD Cards and that can be a read advantage as I will explain later. 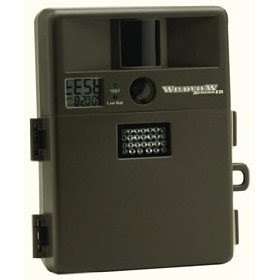 There are several “scout” cameras on the market that can be bought at Wal-Mart, Bass Pro Shops or other similar stores. How they work, is that they have a motion sensor that automatically takes a photo when something sets the sensor off. You normally mount these on a tree or post and leave them for several days then retrieve the SD card or the whole camera and download the photos. Once you get the camera you need to find a place to set it up un-noticed. This may be difficult, as some are a bit bulky. If you have a car you can park and leave in place there are many options – like hiding it behind the grill, placing it in the trunk, or mounting it underneath the car (watch out for speed bumps). The sensor and flash area must be clear and of course the lens. Most of these cameras have a limited sensor range. Keep that in mind when placing the camera. You may be able to disguise the camera in a bush, and in some cases on your own property, simply mount it someplace not real obvious. It may take some practice to set this up. I didn’t say it would be easy – just less expensive. i wanna be detective,, nice blog..
Infared digital game cameras are an excellent choice. I recommend using the largest SD memory card that you can get your hands on. Most cameras will support 2 GB memory cards. You might also need to cut down on the resolution and video size to keep from filling the memory cards too quickly. Especially, if you will not have the luxury of getting access to the camera to swap out full memory cards for empty ones.